Terrariums are small and contained environments that function much like a greenhouse does. A sealed glass container placed in a semi sunny spot provides the light for plants to grow and captures the heat within. The moisture in the soil and plants evaporates to create water vapor, which condenses on the walls of the glass and travels back to the soil. During the day, the plants convert carbon dioxide into oxygen via photosynthesis; at night time, they turn oxygen back to carbon dioxide. This natural recycling process ensures that terrariums are very low-maintenance and ideal for black thumbs. When selecting cultivars for a terrarium, look for dwarf varieties that love high humidity and grow slowly. Succulents, ferns, and air plants are excellent choices, but there are many types of plants that will thrive in a contained environment. Since the glass terrarium will likely be missing a drainage hole, start by adding a two inch layer of rocks or sand to the bottom of the container. Next, add a thin layer of dry moss to prevent soil from sinking to the bottom. Add a minimum of two inches of potting soil, enough that will comfortably cover the plant’s roots. Now start positioning plants within, mixing and matching types, sizes, and colors. It’s important to tamp the soil down around each plant, adding more soil if necessary. Once all the plants are situated, you can add decorative effects like live moss, figurines, and small trinkets. 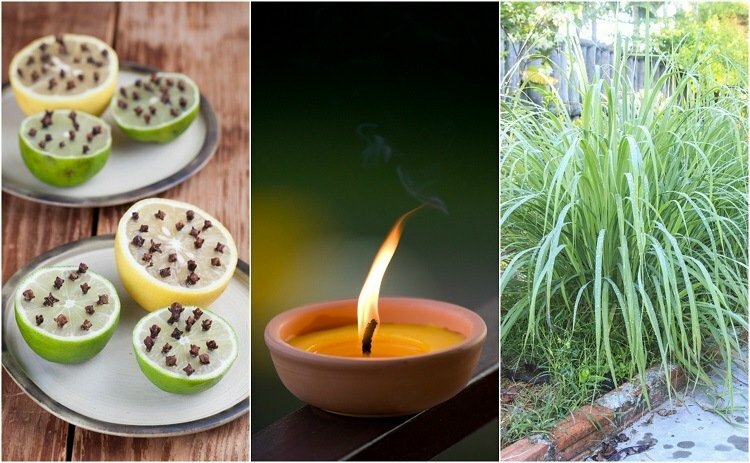 Give the plants a generous misting with a spray bottle and set it in a spot that receives a good amount of indirect light. You may wish to remove the lid from time to time to let in some fresh air and check moisture levels. 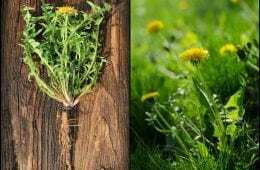 Plants that grow too quickly can be trimmed back to keep them from crowding out your other plants. 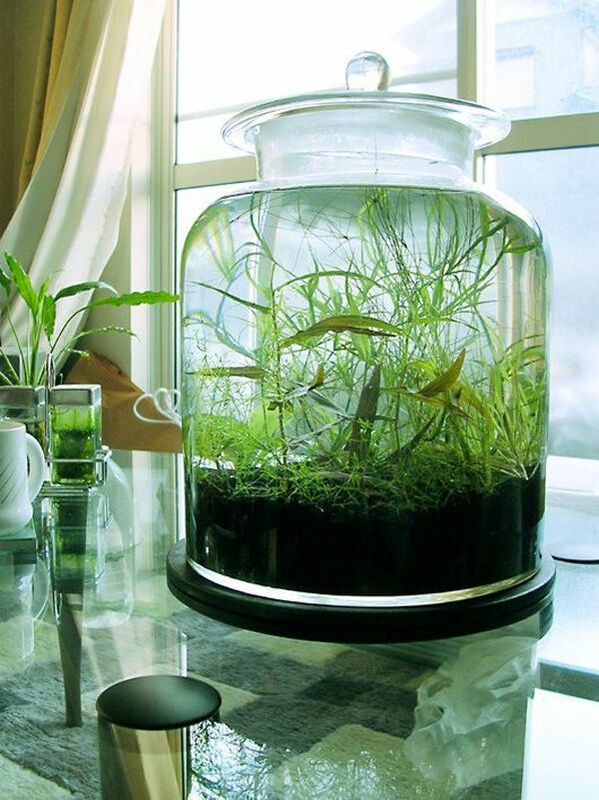 You can use a large 6 gallon glass carboy with a cork – or a smaller one gallon jug – to fashion a little plant world. You’ll need some tools to get through the narrow opening – try chopsticks, a bent wire hanger, a cork attached to a skewer, or a grabber tool. A wonderful way to use up those large glass pickle jars, this terrarium could be set on its side to expand the growing area. Mount it on a block of wood to stop it from rolling away if you if you decided on the side option. Though candy jars come in all kinds of shapes, this beautiful apothecary variety has a wide mouth for ease of access. An old fish tank is the perfect object to make into a plant abode. It’s a good size of space to work with and the opening is large enough to not require any special tools. On the flip side, using an old incandescent light bulb offers an interesting challenge of assembling your plant world in a super small space. Assemble a few and hang them in a cluster like so. A clear glass tree ornament (like this) can be transformed into a lush green microcosm in a tiny orb – a unique decorative piece for the holiday season and beyond. A smattering of old wooden picture frames in a few different sizes can be assembled into a lovely Victorian style miniature greenhouse. Any clear glass light fixture can be turned into a plant oasis! This tutorial uses only moss and succulents that, in a bizarre twist, do not require soil or water to thrive. This glass teapot terrarium is makes for an adorable tabletop centerpiece, perfect for a nestling a variety of pint-sized succulents. Combining form and function, this tutorial walks you through each step of building a terrarium lamp using a large jar with a cork lid as the base. Once the terrarium plants are situated, just glue an assembled lamp kit to the top and finish with a lampshade. 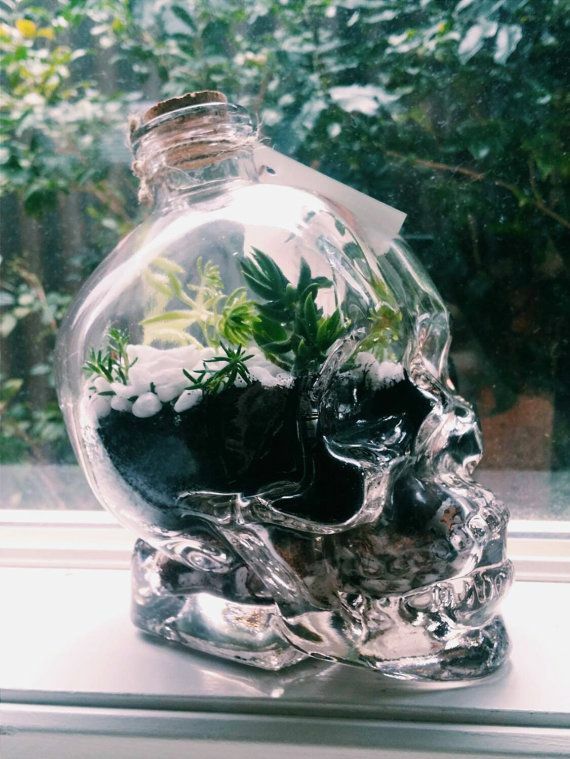 Finally a use for those amazing Crystal Head Vodka bottles! If you’re lacking one, they can be purchased, sans alcohol, here. A conversation piece to be sure, the table terrarium is a more advanced project built from the ground up. You’ll need a few sheets of plexiglass cut to size, some wood pieces for the base and legs, glue and paint, as well as your terrarium building supplies. 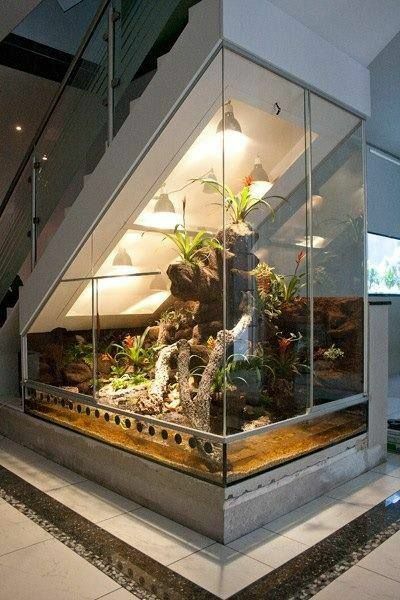 You can transform ugly dead spaces around the home, like the spandrel under a staircase, into a large scale terrarium for your viewing pleasure. Though this definitely not a quick and easy project, the end result is absolutely divine. Taking the terrarium concept and adding water, this type of terrarium is just as low-maintenance as the airy variety. You’ll need some aquatic plants of course – water lilies, moss balls, anubias, java ferns, and moneywort are all good picks. Here’s a guide on how to set it up.